Master Joe C. Brown presents his legendary sword to Kitabu Roshi. This was an unexpected gift, filled with significance. "You can kill the body but not the soul." There are many factors that shape our lives, and many different people who nudge us along the way. Some of the influences are negative, some are positive but surprisingly, even negative input can lead to positive results. Direction can come from unexpected and unplanned sources. As I grew mentally and spiritually, I was no longer the innocent child who blindly drank from the fountain of his father's mind. I had my own insights at an early age, and that intimidated my father. Though he took care of me by providing food, clothing and shelter, we became psychologically estranged. In Asia, Japan, for example, the father is sensei, in India, the parents are deemed the child's first gurus. Such is the experience when the child is in the valley state, and the parents dwell on the mountaintop. When the parents routinely seek counsel from their own young child, the balance is altered. From the day we first met we were destined to be as family. He informally took me under his wing and enthusiastically shared Samurai legends and Philosophy with me. From time to time I sat in his den and ate at his dinner table with his family. In this way, I developed a frame for the warrior ethos of Christianity, which included Old Testament heroes such as David, Sampson, Joshua, Gideon, and the biblical Xena, Deborah, among others. I admired those who were strong in conviction and deed, and I wanted to be counted among them. I naturally honored such people. Master Neal was the first of my real-life Martial heroes and friends. 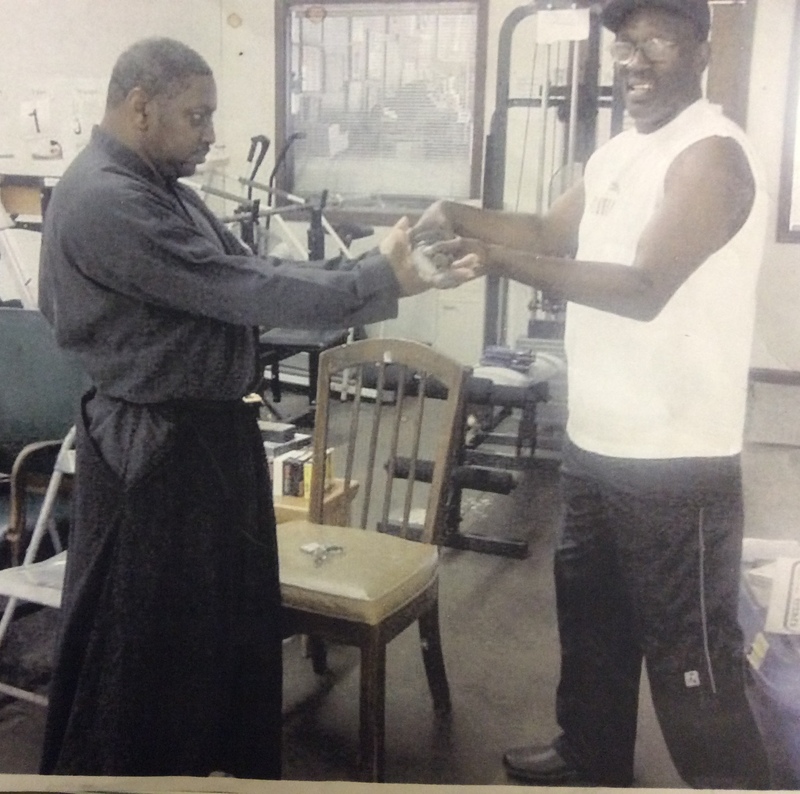 He introduced me to many Martial artists in and out of our home base in Hampton Roads, Virginia. Master Neal nurtured that Samurai spark in me before I even understood what it represented but I did feel it bouncing back to me from others. One such modern-day hero and legend was Dr. Joe C. Brown of The Red Dragon Kung Fu Society (Hampton Roads, Virginia). The founder of Yee Chuan. The Mind Fist, was gentle in voice, a gentleman in mannerism but deadly with his fist and feet. 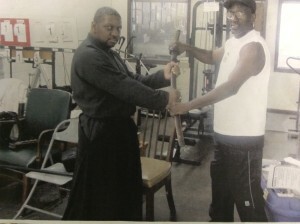 A Christian by faith, Master Brown has a scientific grasp of Martial technique. Employed by a hospital but not as a Doctor, he absorbed knowledge about the human body that was extraordinary. He knew exactly where to strike at a certain time of the day for maximum affect, and how many times the eyes blinked in minute. In a demonstration Master Brown seemed to be inflicting genuine pain. His students learned to be tough. Master Brown did not mind going his own way in the Martial community. When I met him. However. I recognized our kindred spirit, the spirit of independence, and routinely included him and his school in my triumphs. If I was on television, Brown was invited to demonstrate with me. If I was interviewed by a newspaper, I asked them to include the Red Dragons. Most significant, was the time I invited The Red Dragons to participate in a Martial arts extravaganza sponsored by the Portsmouth Police Department at the Willis Auditorium. All types of Martial arts were represented. I wanted Master Brown to be seen in a big way. As facilitator and resident Zen teacher for B.U.D.O., the progressive organization, founded by Master Neal, was a co-sponsor of the event, I sat at the VIP table but did nor perform that day. I observed. Master Brown was amazing but he failed to observe the clock He took his time. We took note of that but he really showed his mastery of technique that day. It happened to Master Neal, it happened to me before. Someone takes an incident from the past and try to discredit a master in the present or dismiss his art. In Master Brown's case, the story was that he had sliced off the toes of his student with a Samurai sword, during a live demonstration, The account was true but how it happened was never disclosed to the general public. The demo had been practiced but the student failed to tell Master Brown that he had injured his knees during Basketball practice, He was unable to clear the path of the sword....swish! However, resourceful Master Brown gathered up the toes and packed them in ice. The student was rushed to the hospital. How did it end? The student who was the victim of the accident exonerated Master Brown at the 2006, 54th Anniversary Dinner of The Red Dragon Kung Fu Society. He healed completely and became a Military officer. What became of that sword? Thirty years later, Master Brown came to my dojo (Grand Master E.R. Spruill provided space for me) and presented it to me without ceremony/ On the surface, this act made no sense. He had many loyal students and knew many worthy teachers. Why give the most prized possession of a Martial artist to me? Some time later, I discovered Master Brown was in the hospital, near death, Black Belt student of his, Leonard Parsons, informed me of his plight. I went to see him. “Did you come to rub salt on my wounds,” he asked. I knew he was referring to the news he had been attacked. Six men hid in his house and pounced upon him. Apparently, one of them hit him from the back, striking his scull with a metal bar. I reminded him that I always believed in him. Master Brown was released from the hospital but died a few months later from complications resulting from his head wound. The news sent shivers through my being. Would I have fared any better during such a vicious attack. A good man was taken down by a band of cowards who attacked in the dark. I teach my own students and remind myself that the place of danger is right here, the time of danger is right now. To prevent these outcomes call for more than skill. There was a lesson there for all of us. A few years after Master Brown's death (murder) I would face my own possible demise as three men attempted to rob, beat and kill me on an inner-city street. 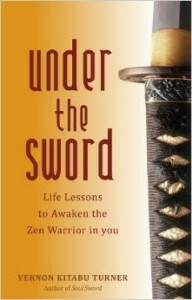 Master Brown's story came to me and I remembered the Bushido Philosophy. When faced with a choice between life and death...chose death. I slayed my ego. I faced the men head on, and they fled into the night. At no time did I let anyone get behind me. Master Brown's sword is on my altar. There are other important layers to this drama and we shall get to them by and by. Dr. Joe C. Brown was an extraordinary individual. He gave a great gift to me. It healed a deep wound in my soul. Even a Samurai warrior or a Shaolin monk did not always win every battle but victory comes from The Spirit, The Red Dragons still soar,and their founder saved me posthumourously because his sword restored my own warrior psyche, at a time when it was at its weakest strength. His gift was a life-line for me.